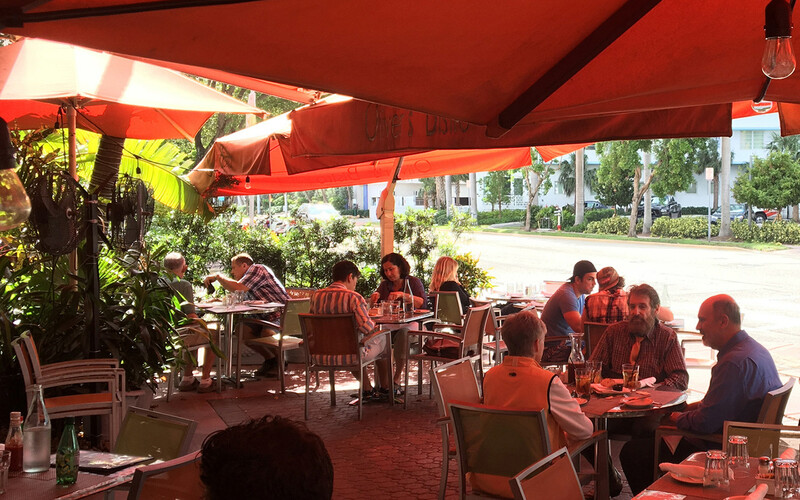 On trendy South Beach, you can find a cute bistro on the quieter side of the island. Once you spot the festive orange umbrellas, you know you’ve arrived at Oliver’s Bistro, a favorite among locals and visitors since 2002. Sit outside under the big umbrellas to watch people parade their dogs and families up and down West Ave. Take your family to their famous brunch, which is on both Saturday and Sunday, to try their chicken and waffles or Dutch apple pancakes. Lunch and dinner are served daily. Among the many menu items, lunch includes grilled panini and flat bread options, while the dinner menu is more of an international and eclectic theme. The hearty portions, friendly service and upbeat atmosphere make this a great place to share a meal with friends, family or romantic partner. This restaurant has a pet-friendly outdoor patio. There is a wine and beer menu. Also, catering services are available at the restaurant or an outside location. Check their Facebook or Instagram to learn about special events, like the Thanksgiving dinner. Reservations can be made online.